Our smash hit internet movie, based upon our exploits in tracking down the Jersey Devil, but I warn you all is not as it seems. A new villian has been menacing the woods of New Jersey. Hikers go missing, campers are fearing for their lives. You call GHOSTBUSTERS New Jersey! 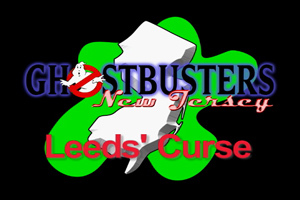 Special thanks to Ghostbusters News for uploading Leeds’ Curse to their You Tube channel. Behind the scenes in the making of Leeds’ Curse. An original fan film. Not for sale. © 2006 GBNJ. “Ghostbusters” & related trademarks are property of Sony Pictures/Columbia.